The affair was initially kept secret, even though unofficially it was one of the most widely commented news in Warsaw's higher circles. 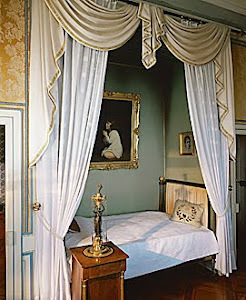 Walewska visited Napoleon, residing in the capital's Royal Castle, only at nights and would secretly leave the building each morning. 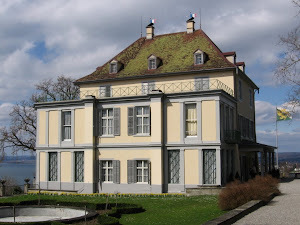 The relationship progressed when Napoleon moved to his field headquarters in Finckenstein Palace in East Prussia (now Kamieniec Suski, Poland): Maria followed him there and they moved into neighouring apartments. 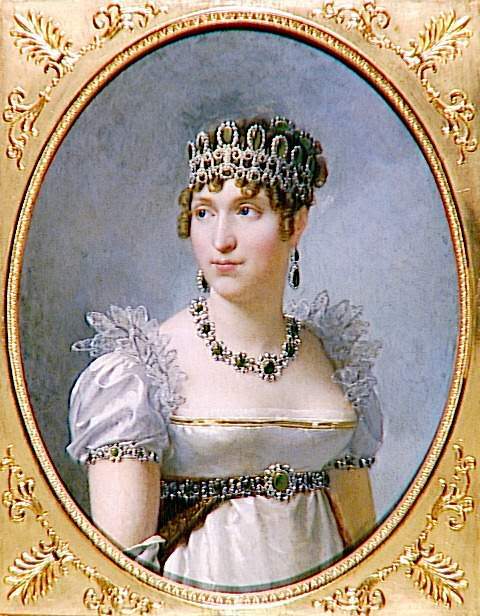 As Maria was extraordinarily pious for her times, they still maintained apparent secrecy: she refused to leave the part of the building in which they lived, fearing being seen by officers surrounding Napoleon, many of whom were her acquaintances or relatives. In 1809 Maria followed Napoleon during his journey to Vienna, where she lived in a house near Schönbrunn Palace, Napoleon's residence. 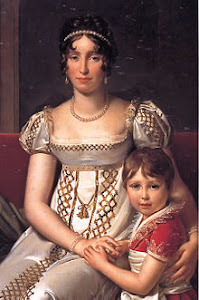 During the sejour in Vienna she fell pregnant and returned to Walewice in order to give birth to her second son, Alexandre Joseph. Although Alexandre was unquestionably a product of Maria's affair with Bonaparte, he was legalised by the old count Athenasius and thus bore the name of the counts of Colonna-Walewski. In 1810 Napoleon returned to Paris, where he was soon joined by Maria. 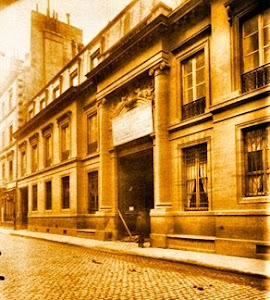 She settled in a palatial residence in the Rue de Montmorency and was given a large rent of 120 000 francs and a permission to enter all of the imperial museums, but her previous relationship with Napoleon ended. 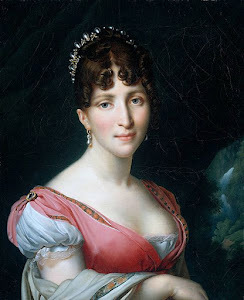 Bonaparte planned to divorce Josephine and instead marry Marie Louise, Duchess of Parma and maintaining an affair with another woman seemed inappropriate. Her and her son's future were nevertheless ascertained by the grant of large land estates in the Kingdom of Naples. 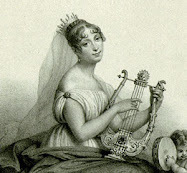 In 1812 Maria divorced count Colonna-Walewski. To facilitate it, her brother, Benedykt Jozef, admitted to forcing the marriage upon her. 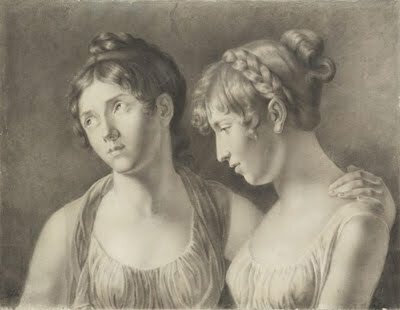 It remains unclear whether this was the truth, as in her memoirs Maria stated that her mother influenced her choice to marry Athenasius, possibly due to an illegitimate pregnancy. As a settlement, she and her oldest son received half of count Walewski's estates, which even though heavily indebted, represented a large wealth. 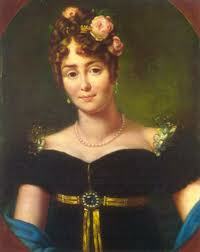 In 1816 Maria married her long-term admirer and lover, Philippe Antoine d'Ornano, count d'Ornano. They settled in Liege, as d'Ornano did not want to return to Paris due to his pro-Napoleonic allegiances. 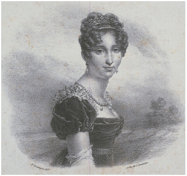 In 1817 Maria gave birth to count d'Ornano's son, Rudolph Augustus, and she died shortly afterwards due to a prolonged kidney illness. Before her death, she completed her memoirs, which were addressed to her husband. Upon request from her Polish relatives her body was exhumed from the Père Lachaise graveyard in Paris and moved to her family crypt in Kiernozia. These pages are full of fascinating stories!